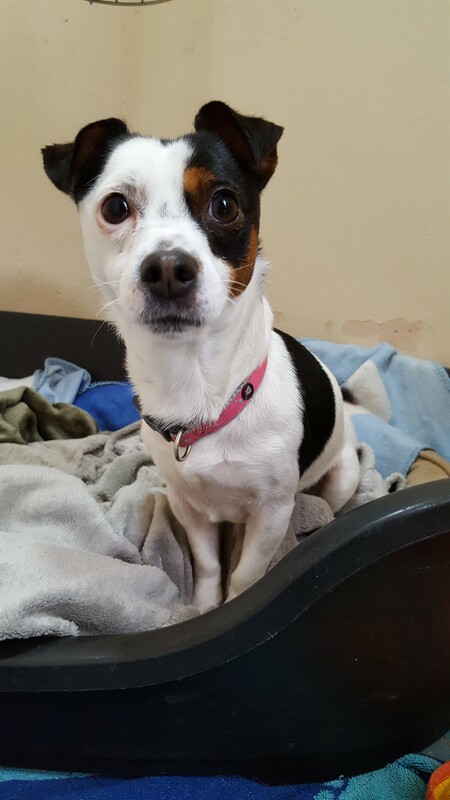 Daisy is a 2 to 3 year old female Jack Russell Terrier. A super friendly girl. Daisy would prefer a home as the only pet – no cats and no dogs. Daisy can be exercised with other dogs but prefers her own company with regards to other animals at home. Daisy can be left home alone for sensible hours (not full time working hours) and is very friendly with people and children.